Loverboy Shahzada Salim had just taken over from Zille Subhani, the throne of Mughal Empire when the British were setting foot on Indian Soil. 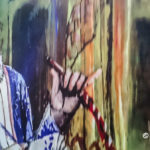 The poor British were in the awe of the great Mughal Empire but slowly set up their foot in India, nibbling bits and pieces of India till the last of the Mughal Bahadur Shah Zafar was sent to Rangoon, in an exchange scheme with the ruler of Burma who was exiled in Ratnagiri in Maharashtra in India. Even after the hostile takeover of the Delhi throne, the British continued to be in awe of the grandeur of the Mughal Empire and when they built the Viceroy House on Raisina Hills in Delhi, they built is around a Mughal Garden inspired garden. Well, the Mughals are long gone but the gardens built by them from the Charbagh in Kashmir to gardens around the Humayun’s Tomb and many other parts of Delhi like Roshanara Gardens, Qudsia Garden are still around. 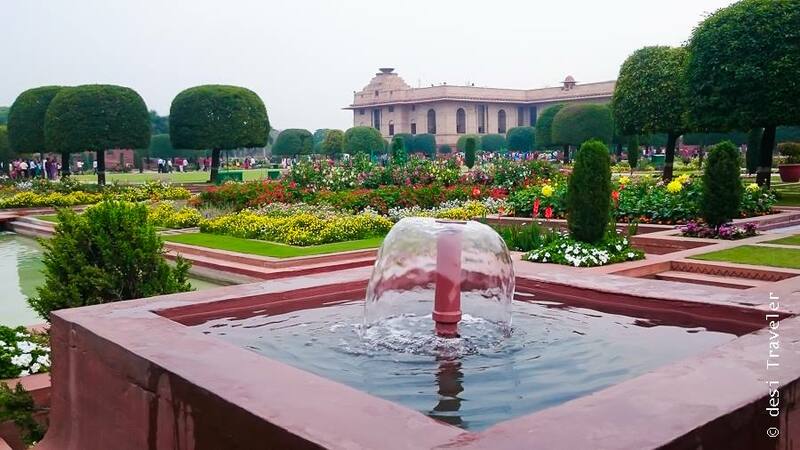 But for all practical purposes today Mughal Gardens, means the beautiful gardens around the Presidents Estate or the Rashtrapati Bhavan in Delhi. Well every year the President of India is kind enough to open up the gates of his official residence for the public and invites them with a floral carpet to the Mughal Gardens. Why Mughal Gardens and not Garden: Well the Rashtrapati Bhawan has many gardens e.g Main Garden, Sunken Butterfly Garden, Terrace Garden, Vegetable Garden and they all are in different sections of the Rashtrapati Bhawan, collectively they are called Mughal Gardens, but both Mughal Garden the singular form, as well as Mughal Gardens, are accepted forms of addressing them. We arrived ahead of schedule but the other 2981 people ahead of us also were trying to beat the crowd so we had to wait in the queue for some time before we could enter the premises. While the President’s staff invites journalists working for various newspapers, TV channels etc; we the humble desi Bloggers are not yet in the special invite list and need to visit the Mughal Garden in general hours. ( This is not a complaint but a humble hint to his staff, wink wink wink jee 😛 ) . 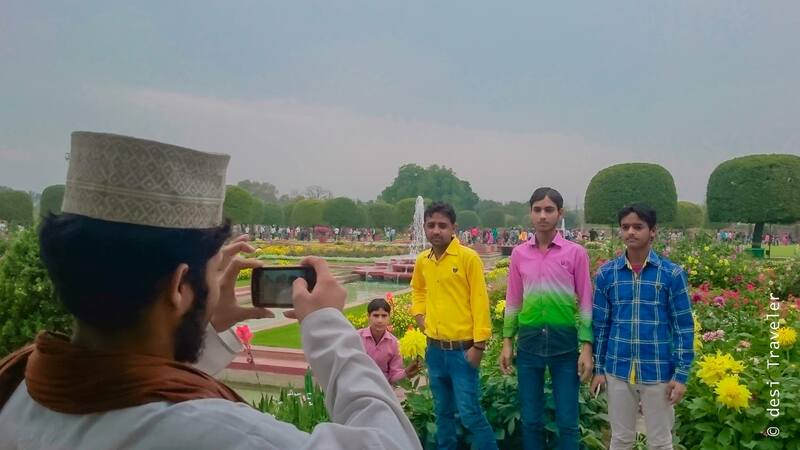 Well here is my experience of visiting Mughal Gardens on a general invitation of His Excellency the President of India who welcomes the citizens of India to his home with a beautiful floral carpet. 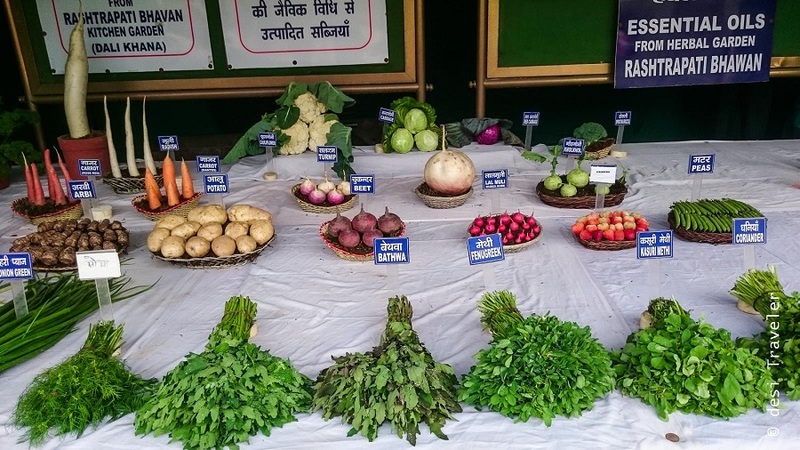 The first section we visited was the aromatic herbs and medicinal plants section where various herbs used in traditional Ayurveda medicine system are grown organically. 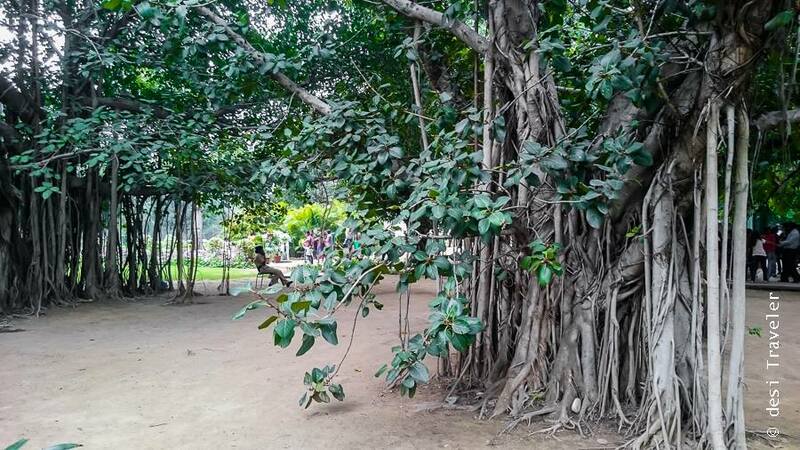 The other section that I found interesting was the Bonsai section where the highly skilled gardeners of Rashtrapati Bhavan have created Bonsai of various tree species ranging from the big Banyan to almost every tree found in Delhi with a special focus on the avenue trees that line the Lutyens Zone. Now in Mughal Gardens cameras, water bottles, bags, foodstuff etc. are not allowed and we were told that photography is not allowed. But then I saw that people were clicking everywhere. Some even with the security guards present on the duty. 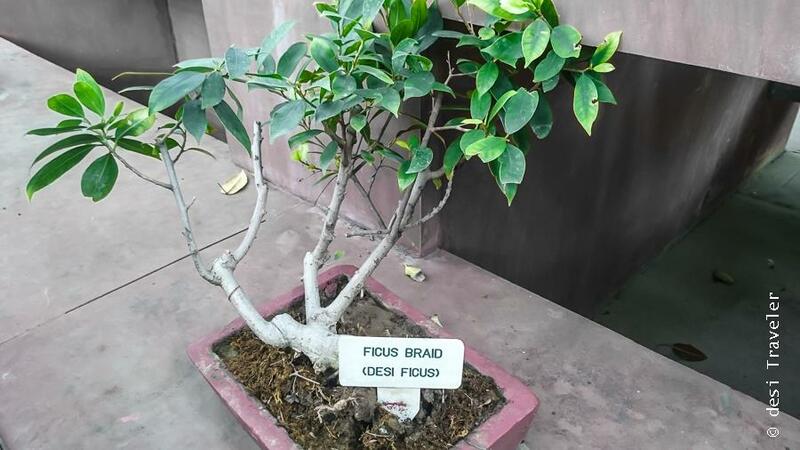 But as a god-fearing, law-abiding citizen of India, I resisted from clicking pictures till I saw this Bonsai Tree of – desi Ficus. Now not clicking a picture of this one would amount to Blasphemy by desi Traveler, so by repeating my allegiance to the Constitution of India, I took a deep breath and clicked the first picture from my mobile phone. 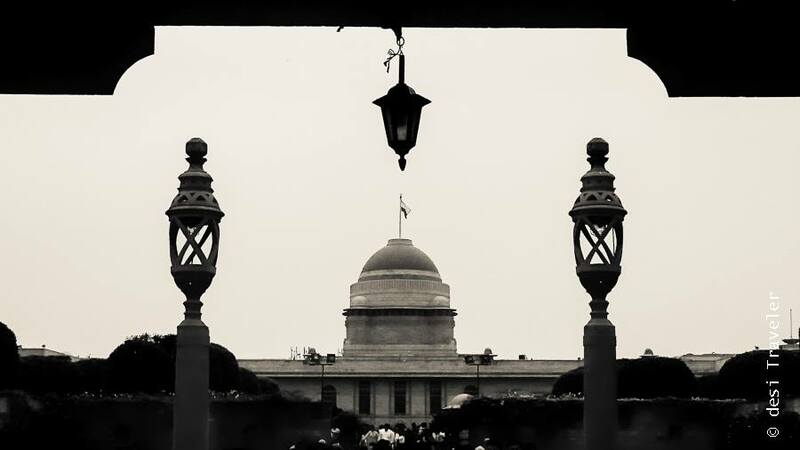 Well, one picture led to another, and then that one to the next and soon I was happily clicking like hundreds of desi Travelers all around me in Mughal Gardens of Rashtrapati Bhavan. 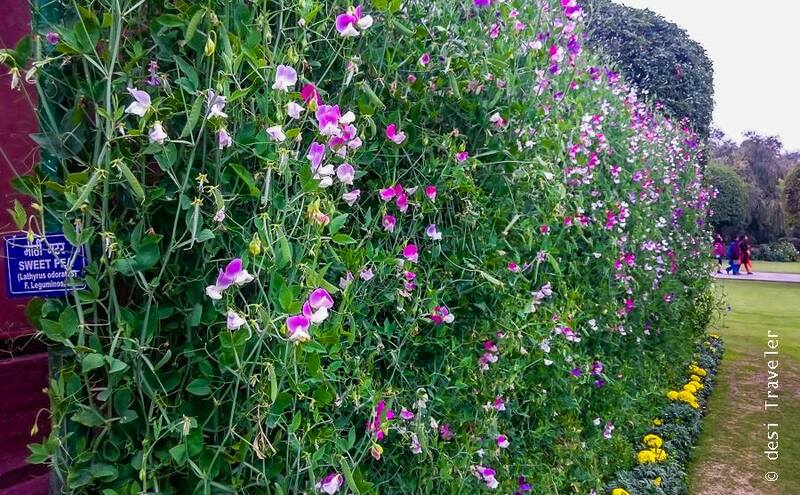 But I am sure the Supreme Commander of the Armed Forces of India has a big heart and he will forgive me for clicking a few pictures of his garden. 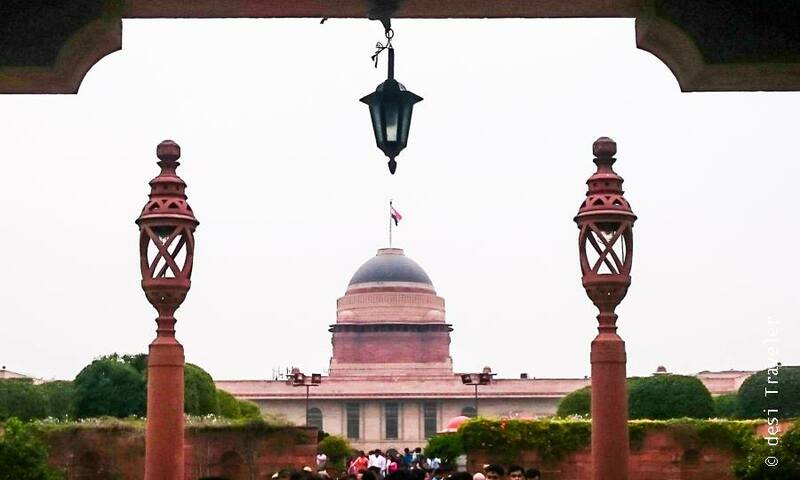 With this hope, we move forward and I share more pictures of Mughal Gardens clicked by my trusted mobile phone. Ok, am I in the picture? 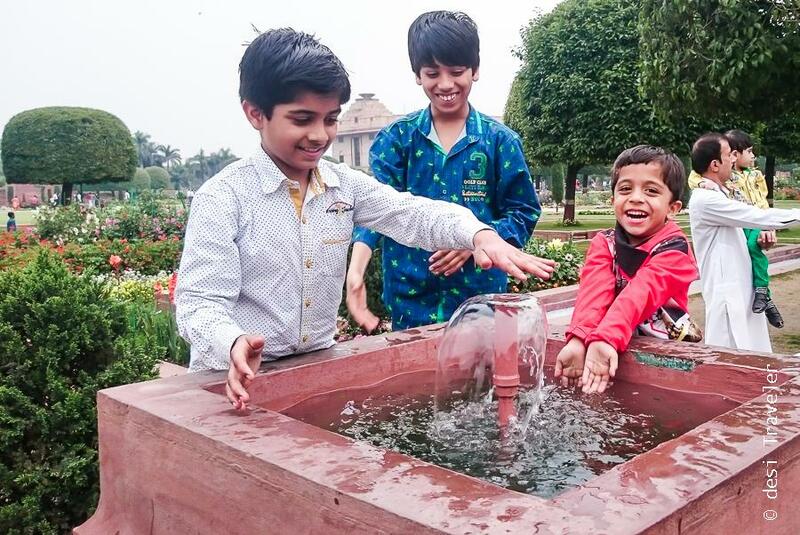 But not all the kids were so naughty a lot of them were actually enjoying the beautiful spring around us especially the fountains that are so characteristic of Mughal Gardens, right from Kashmir to the garden in front of Taj Mahal. 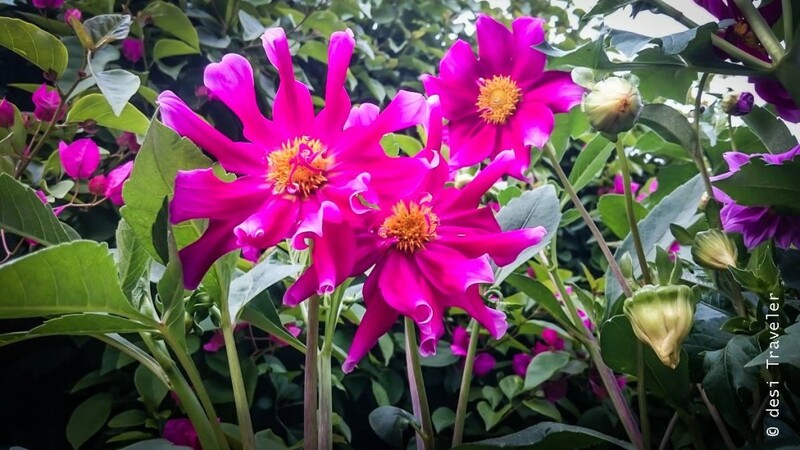 I am not very good at identifying flowers, but I did manage to identify Roses, Petunias, Daisy, Sweet Peas, Chrysanthemums’, Pansy, Tulips, Marigolds, Petunias, Dahlias and many other that I loved looking at but have absolutely no idea what they are called. 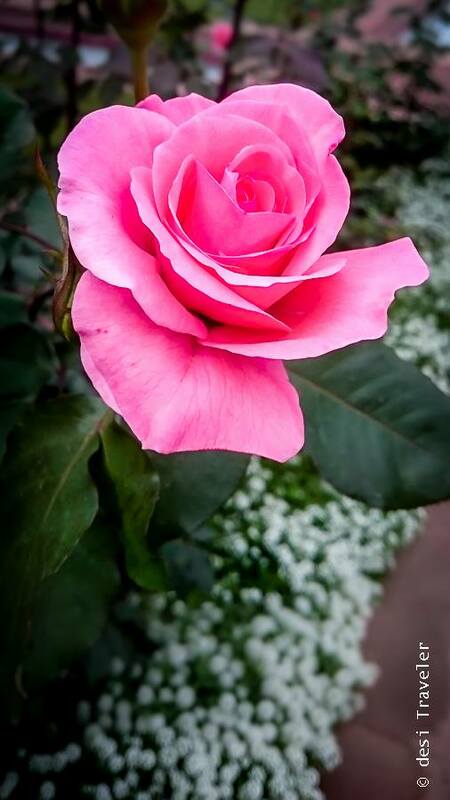 But the most loved flower in my opinion in Mughal Garden was labeled as “LOVE”, what an irony that a flower named LOVE, to be planted in the garden that is named after the great Mughals during whose rule one of the most famous love stories of all time was thwarted. I am not sure about Zille Subhani, but Shahzada Salim sure would approve. 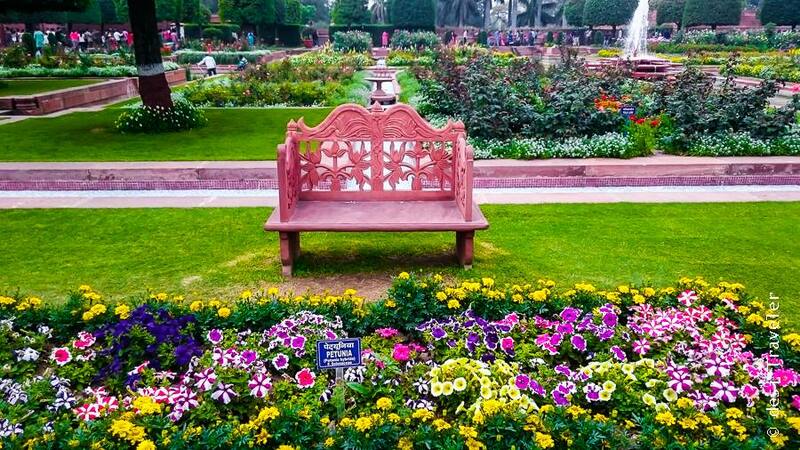 Spring is the season of Love and what better place to celebrate Love than Mughal Gardens? 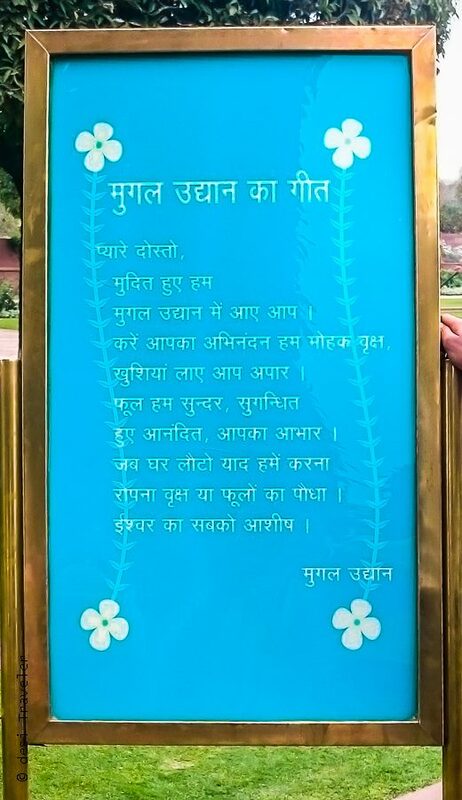 Mughal Gardens have their own song! – How Cool is that? The trees of the Mughal Gardens are delighted on your visit. What a beautiful thought and gesture, the gardens speaking to you not only through the thousands of flowers all around you but also with a beautiful song urging you to spread the joys of greenery by planting more trees and flowers. 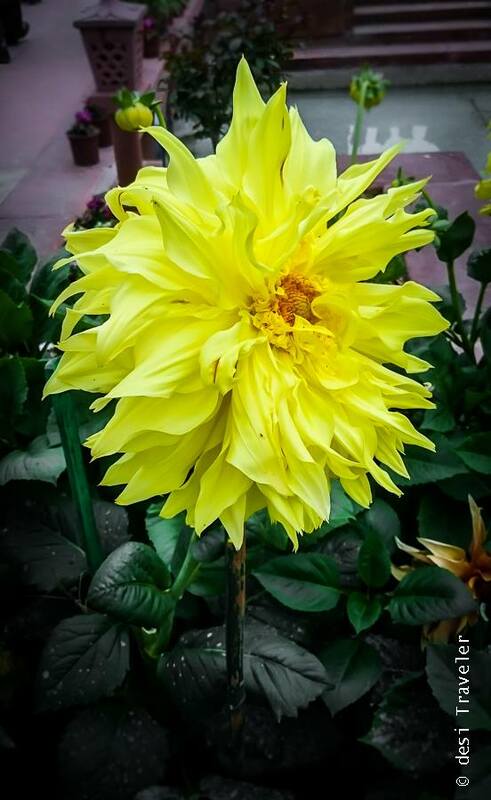 As there were thousands of visitors in the Mughal Gardens it was not easy to stay at one place and click pictures or even to look at the beautiful flowers around you, as one needs to constantly continue to move jostling for space with hundreds of people around you. But that is true of any public place in India, be it railway stations, roads, markets, fairs etc. 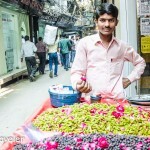 and that is the real fun of visiting any tourist attraction in India. Mughal Garden Trivia: Do you know on an average 15000, people visit Mughal Gardens every day when they are opened to common people. This year Mughal Gardens are open from February 14 through March 20, 2016, between 09:30 hrs to 16:00 hrs (09:30 AM to 04 PM) on all days except Monday. The Mughal Garden would be closed for maintenance every Monday. The public can also visit the Spiritual Garden, Herbal Garden, Bonsai Garden and Bio-diversity Park within the Mughal Garden Estate. So dear readers if you are in Delhi during the opening days of Mughal Gardens do visit the Mughal Gardens in Rashtrapati Bhawan and if you have friends and relatives visiting trust me going by the crowds, it is a big deal for those coming to Delhi from other cities, so take them and they will tell the stories for years to come. Mughal Garden would be closed on every Monday (for maintenance). Security Precautions: Cameras, Bags, Lunch boxes, etc. 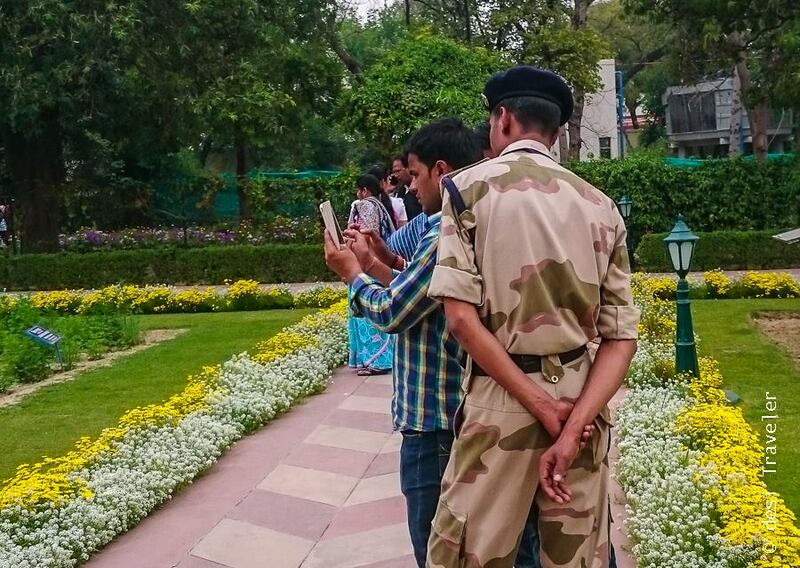 are not allowed inside the Mughal Gardens due to security reasons. You are allowed to carry your cell phone. As the Mughal Gardens are spread over many acres wear comfortable shoes that are made for walking. There are no toilets inside but at the entry and exit point, public toilets are made especially during opening days of Mughal Gardens. Entry ticket: Thanks a lot to the of President of India, there is no entry ticket to Mughal Gardens during the public visit days. 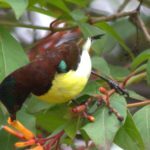 Travelers Tip: Besides flowers, Sunken Butterfly gardens, do not miss the Bonsai Garden, Garden of medicinal plants and a cactus garden. Try to reach as early as possible to avoid peak hour rush and get better pictures. Mughal Garden Opening date & timings for 2019 : This year Mughal Garden will be open for public from 6 Feb – 10 Mar , 2018 Timings: 9:30 am-4:00 pm. Closed on Mondays for maintenance & on Holi. 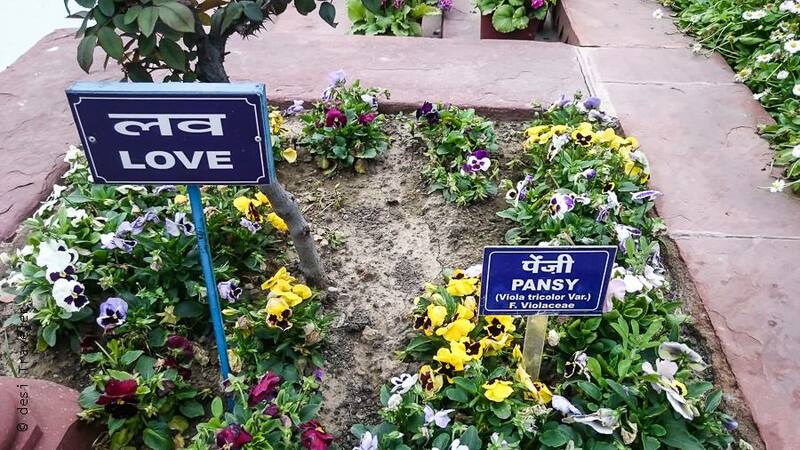 There is no entry ticket to the Mughal Gardens, thanks to the Presdient jee of India. Bags, Cameras, Drones etc. are not allowed inside. 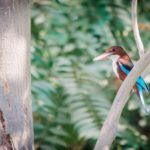 All pictures in this post were clicked by my Mobile Phone. 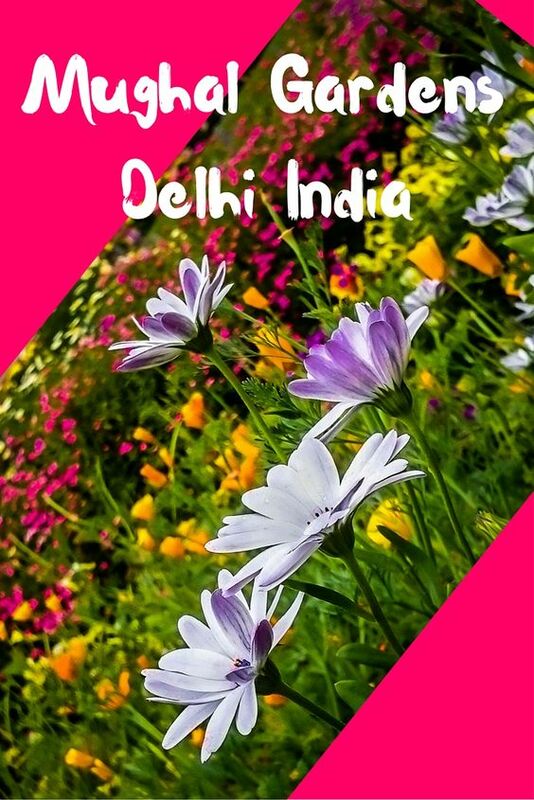 Have you been to Mughal Gardens Delhi ? 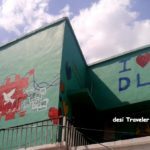 Amazing post, you took us through the history and then lead us to this beautiful garden, sharing your wonderful experience among hundreds of other desi travellers 🙂 Thanks for you act of stealth 🙂 that lead to these beautiful pictures. Ah so now I know how you managed to click pictures. I agree that it would have been blasphemy not to click the Desi picture 😀 I now wish to visit the garden for sure! 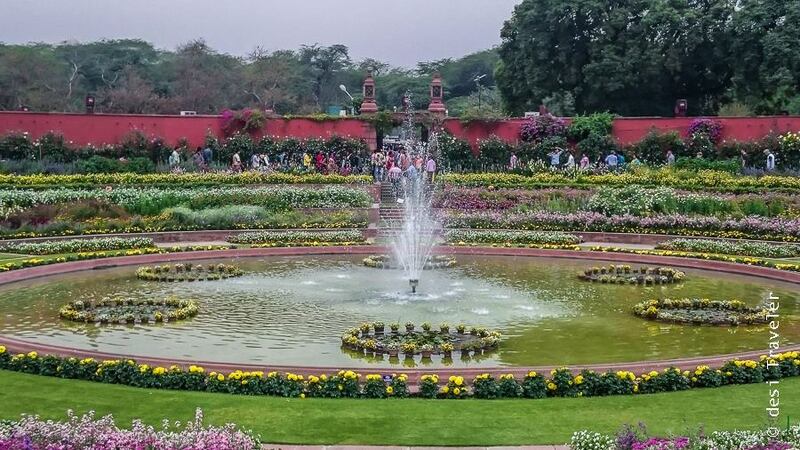 Nice to know that the Rastrapati opens this place for the public to enjoy the beauty of these flowers and these gardens that take symmetry so seriously. Lovely account Prasad. 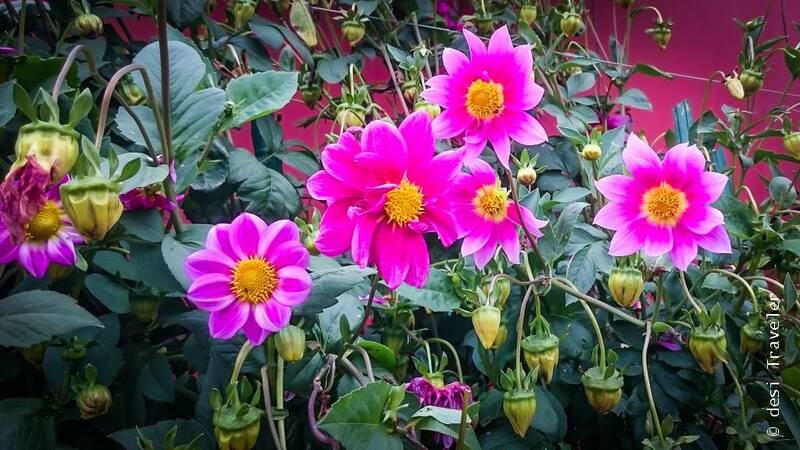 I am not sure when I will get a chance to see the gardens so thank you for giving me a preview! 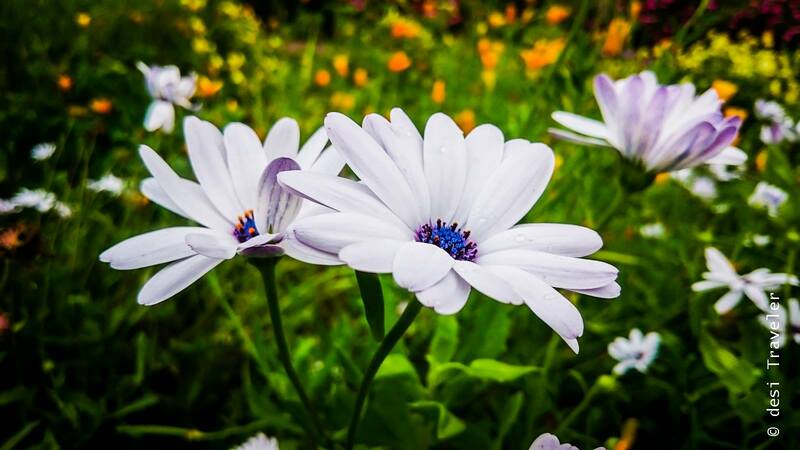 So beautiful photos, Thanks a lot for sharing. It was wonderful. Since long I am planning to visit here. May be this time. 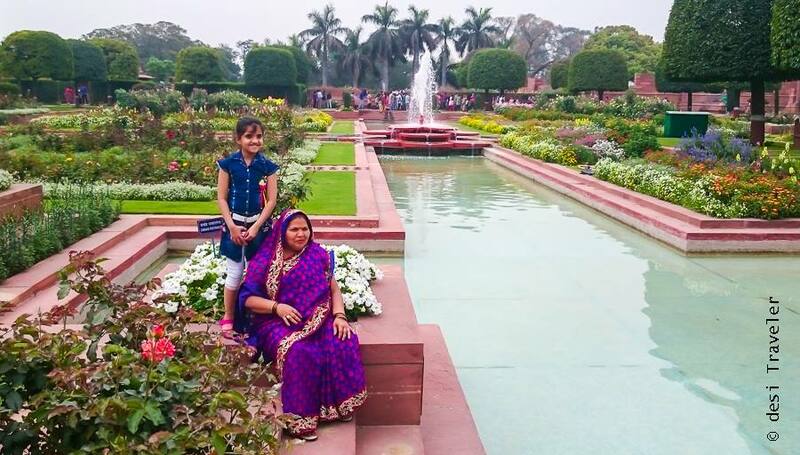 Thanks Swati.. you should visit the Mughal Gardens you will sure enjoy the visit.. I am simply in awe of these Gardens…for an instance I didn’t even believe this is in India, but then these are in Rashtrapati Bhavan! Beautiful pictures. And good darshan of the Mughal gardens. Like how the people are crazy to take a pic in Lal bagh here in Bangalore. 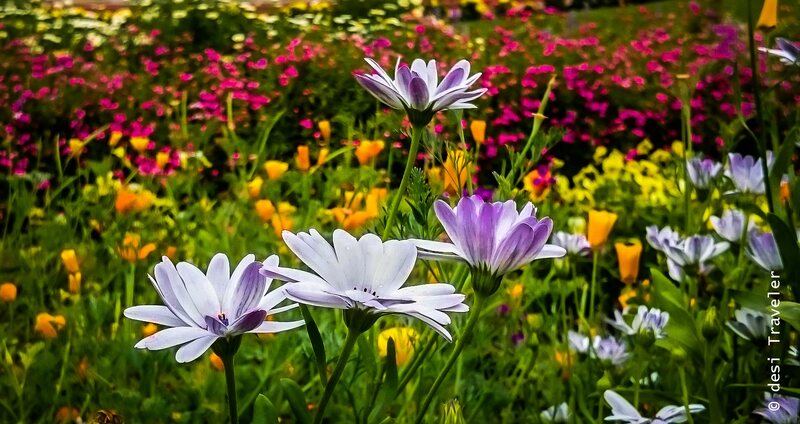 An exquisitely beautiful garden. Hope I can visit some day! Nice to know that it is open to public. 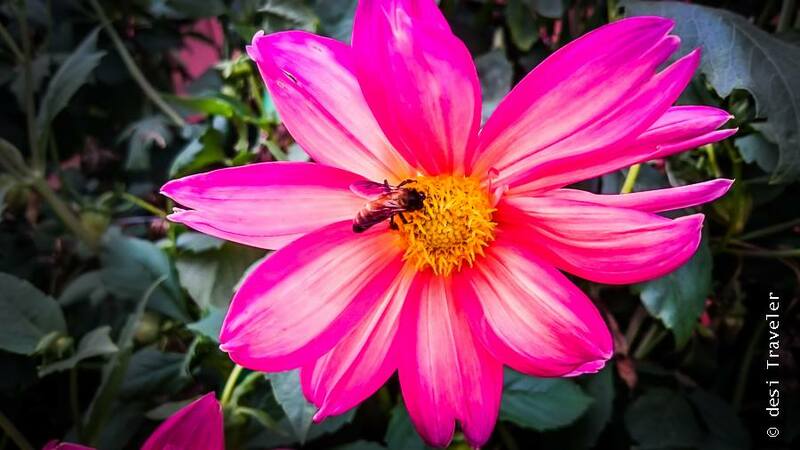 Wish people would take time out to enjoy the surroundings and flowers than just posing with them.